If you or your child has suffered from an ear infection then you will be aware of how painful they can be. Children do seem to suffer more from ear infections than adults and the pain can be excruciating. It is terrible for a parent to see their child in so much pain and not be able to help them. The good news is that there are some effective home remedies that you can use to relieve the pain of earn infections. If the pain persists or is very severe then you should take your child to see a doctor for a proper diagnosis and possibly prescribed medication. There are a number of reasons why ear infections occur with the main one’s being bacteria growing in excess moisture in the ear (swimmer’s ear) or if a child has a cold and their Eustachian tube is blocked. Although these home remedies won’t cure their cold, it can help relieve the pain of the infection. You shouldn’t rely completely on home remedies though, it is important if the pain is severe or keeps returning that you see your doctor as soon as you can. Home remedies can be useful to treat a mild earache or to ease the pain until such a time that you can see a doctor. 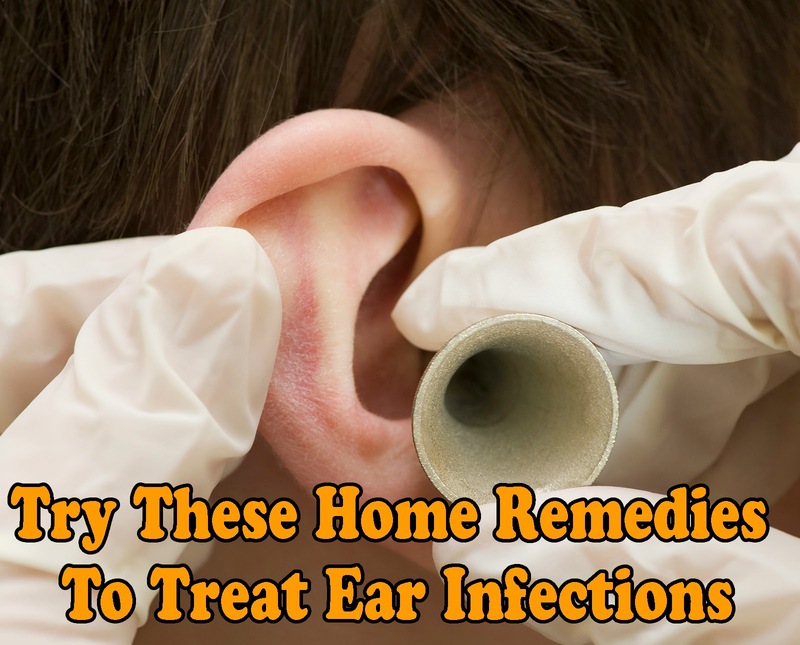 The good thing about home remedies for ear infections is that they are made from ingredients that you will probably already have in your kitchen. So they are there ready and waiting when you need them. Some ingredients you may not have, but will be able to pick up from the store. If an infection occurs at night when stores are closed, then try another remedy that you do have ingredients for. One remedy from the kitchen is a combination of garlic and olive oil. Simply simmer the garlic in some olive oil until the garlic cooks down a bit. Then strain the mixture so you are left with the liquid. Let the garlic and oil mixture cool and then apply a few drops into the troublesome ear. You will want to do this while lying down so the sore ear is facing up. Let the mixture sit in the ear for five to ten minutes and then gently rinse out. This mixture is great for pain relief and the garlic also has antibiotic properties. Another remedy is one that you may need a trip to the store to get the ingredients, which are licorice and ghee. Ghee is a clarified butter that you can find at Indian or Middle Easter markets. Warm the two ingredients together until the have a paste like consistency. Apply the paste around the ear (but not into the ear canal) and this should help with the pain. Radish and mustard oil are more ingredients from the kitchen that can help you with earaches. Finely chop some radish and heat it up in some mustard oil. Strain the mixture so you are left with a liquid and store in a glass bottle. Then you will have the mixture on hand whenever it is required. Place a few drops into the sore ear for pain relief. Lastly, this remedy might seem a little odd but many people use it and swear by it. This one actually involved breast milk – human breast milk. You mix the breast milk with some well ground bottle gourd until you get the consistency of paste. Warm the mixture a little, making sure not to get it too hot, and apply to the ear. This can be a good option for mothers with young children that develop an earache.